This weeks recipe for Craving Ellie in My Belly was chosen by my good friend Margaret of Tea and Scones. 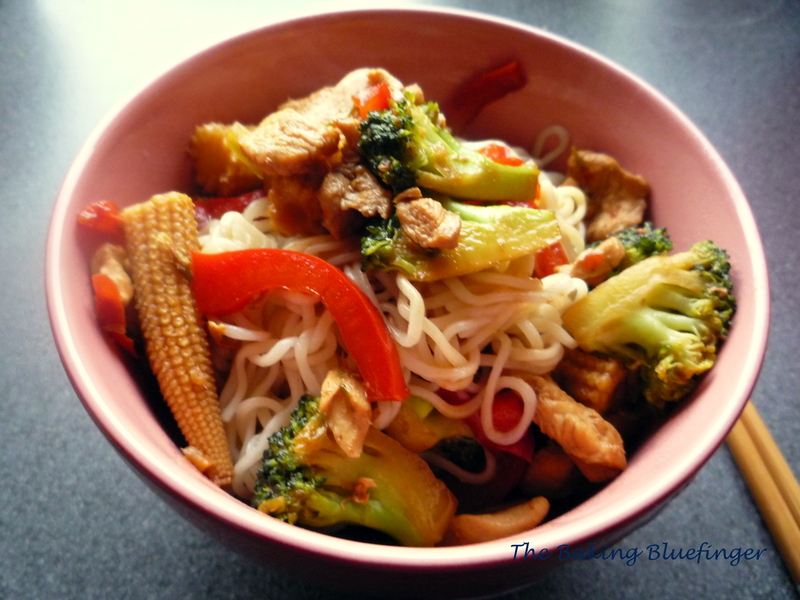 Margaret picked Asian Noodle Bowl, which can be found over at Tea and Scones or on page 161 of So Easy. 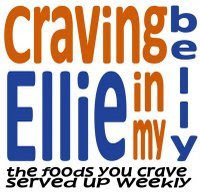 This weeks recipe for Craving Ellie in my Belly was picked by MrsBethORama of Supplious. I must say: what a great way to get back to cooking Ellie-recipes! I totally forgot last weeks assignment and felt so guilty in doing so. This dish is delicious and easy to put together. I only used 250 grams of spaghetti instead of the entire . I used a bit more veggies and forgot to buy the peanuts so couldn’t serve them with this dish. In all I got 4 servings out of this dish, my veggie to pasta ratio was probably a bit higher than intended, but veggies are good for you, right? Without peanuts one of my servings contains 8 WW Points, with peanuts that would be 9 WW Point per serving. Thanks for all the comments on the chopsticks, I love to eat Oriental food with chopsticks so I thought I might as well add them to the photoshoot. I have several chopsticks, these are the newest and I love them as they have tiny purple flowers on them! A while ago I saw on Facebook that Shelby of The Life and Loves of Grumpy’s Honeybunch was preparing Garlic Noodles. 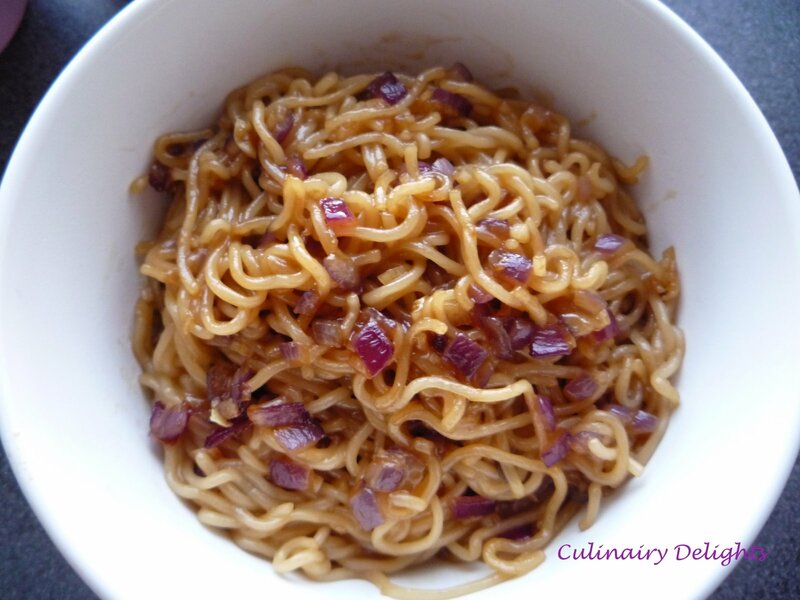 As I’m a huge lover of both garlic and noodles I bookmarked the recipe instantly. Yesterday I decided to give this recipe a go and oh my god, did I enjoy it!! I was a bit apprehensive about the oyster sauce, but barely noticed it. Iloved the combination of the garlic and brown sugar!!! Drain the noodles and wipe the pot clean. Place the noodles back in the pot and set aside. In fry pan bring butter to a sizzle and add shallots and garlic. Stir fry for 1 to 2 minutes being careful not to burn the garlic. In a small mixing bowl add the brown sugar, soy sauce, and oyster sauce and stir well to mix. Add to the garlic and onions and mix well. Add the noodles and toss well evenly distribute the sauce on the noodles.